John P. Hastings is an artist and composer focused on exploring landscape, environment, and humanity. His opera, The Former World, was previewed by The Industry and wildUp in Los Angeles, CA as part of their FIRST TAKE Series in 2017. The work, based on the writings of John McPhee and Robert Smithson, utilizes video, audio recordings, live performers, and electronically manipulated roadside debris, to engage with how humans see the environment and how that environment records our presence. 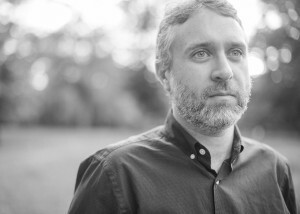 His work has been featured at a variety of venues and festivals including Issue Project Room (Brooklyn, NY), Make Music New York (New York, NY), the LUMEN Festival (Staten Island, NY), Center for New Music (San Francisco, CA), Itinerant Interludes (Berlin, Germany), Roulette Intermedium( Brooklyn, NY), Festival of New American Music (Sacramento, CA,) Other Minds Festival 17 (San Francisco, CA), the Hammer Museum (Los Angeles, CA), and many more. His compositions have been featured on the Object Collection compilation release Notes from Sub-underground (2017), the bandcamp releases minimal music (2016) and chamber music (2009), and releases on Absence of Wax and compost & height. His collection, john p. hastings : scores & drawings 2010 was published by Middlepress in 2010. Hastings earned his MFA degree from the California Institute of the Arts where he studied with Sara Roberts, Mark Trayle, Michael Pisaro, & Ulrich Krieger. He is a cofounder of the Experimental Music Yearbook, a web based music journal. He lives in New York, NY with his wife and son.